Each week I write a brand new article to support members of our three wonderful art groups on Facebook, The Artists Exchange, The Artists Directory, and The Artist Hangout. This week we take a look at the never ending story of marketing our art, and why we should have a strategy for promoting the work we have forgotten. I spent a lot of last weekend reviewing my strategy for the year ahead. It’s something that I do twice a year, first time to get a general idea of what works I want to work on and later in the year to see if the strategy is paying off. I make a point of reviewing my strategy if things aren’t working too, but the twice a year review, you could set the time by it. This time around though I looked back over the last few years to see which of my older works were more popular than others. It was all just numbers but one of the things I always do whenever I document any of the art I create, is to make a visual note of the colour palette I used in the work. Of all of the work I have sold over the past few years the two colour palettes that appeared at the top of the most popular list were the ones featuring either red or blue palettes. This though wasn’t hugely surprising, not only is using blue something that I have been doing a lot of throughout my career but also because over the past five or six years I have seen a lot of studies that all seem to indicate that both of these palettes can help to sell paintings. Back in February 2019 another research paper was released, written by Marshall (Xiaoyin) Ma, Charles N. Noussair, and Luc Renneboog and titled, Colors, Emotions, and the Auction Value of Paintings. In this paper there is some conclusion that using the pallets not only helps works sell, but that paintings using these palettes did significantly better at auction and commanded a higher price. In the case of red, some 10.63% more and in the case of blue, around 18.57% more. So this got me wondering, what else can give artwork the edge when it comes to selling it? Now I’m not suggesting that suddenly everyone starts creating work only in either blue or red. Aside from the science of colour and the usual suspects like having balance and symmetry, and every other good practice that we always think about as artists, there are some things that we frequently forget to do which have an impact on how and even if our work sells or continues to sell. Some things are more obvious when you think about them but there are some less obvious things too that can affect an artworks ability to sell in the future. This is the kind of stuff that's really important when you utilise the services of print on demand. Here’s the big one for today and if you stop reading immediately after this section, you will have taken away some of the best advice I give myself all of the time. I think to an extent every busy artist is at least occasionally guilty of this one, I know I certainly have been in the past and even now I still have my moments. We spend maybe 40 or 50-hours creating a work and then we release it at 10:00am on a Saturday morning or whatever time it is when we have uploaded the work to the print on demand site or the exhibition opens. We do the usual round of sharing the link across social media but then we move on to the next work and cast that last one to one side. We forget that we have to keep artwork alive and cast that work forever into the shadows. The internet is permanent and temporary at the same time. You can dare bet that the embarrassing post you shared in 2004 will come back and haunt you but chances are that none of your posts that showcase your art will ever reappear. One of the things I see a lot when I speak to new artists who want to break into print on demand is that they make an assumption that just because they have some talent and they have uploaded the work that buyers will flock to the site and order a print or two of their work. The other assumption is that the search engine will do all of the heavy lifting and will surface the work above the hundreds if not thousands of other new works uploaded by many other artists on that very same day if someone types in the exact keyword you thought of when you uploaded it in 2010. I have seen this with experienced artists too and not just on print on demand. The internet is full of abandoned websites that haven’t been updated since the days of dial up and I can’t begin to count the number of times I have visited a show and then never been able to find the artist or their work again. 1. Make sure that the tags used to describe the work (metadata) is relevant to your art and that you are not keyword stuffing by using popular search tags that have nothing at all to do with your work. 2. Go back periodically and swap those tags around by choosing new ways of describing your work. Make sure that you are using the same search terms you would use if you were looking for your work online or use some of the free online tools such as Google’s keyword planner. 3. Have a strategy to re-market the work maybe in a completely different post format a couple of days after the initial marketing has been done. Then make a note to re-market your work at set intervals. The timing of these intervals depends on your audience but experiment and see what does and doesn’t work for you. 4. 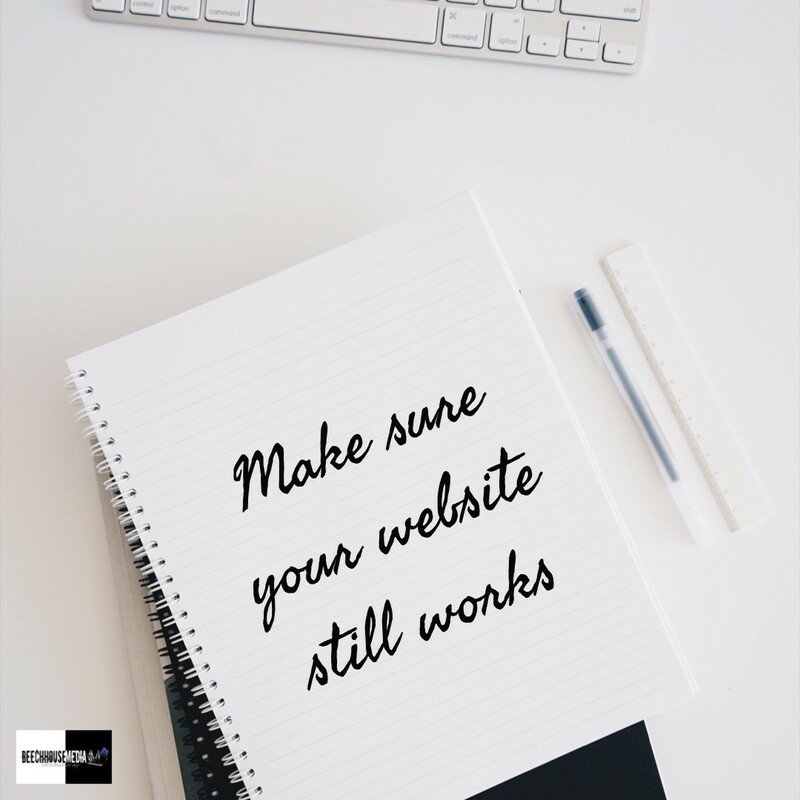 If you have a website, make sure that links to the work continue to function if you have made any changes. 5. Create a calendar and set reminders that prompt you to come back and re-market the work in the weeks and months ahead. 6. Keep engagement levels up and if an older post gets a comment, don’t ignore it, respond and keep the engagement alive. 7. Review your metadata, I have said this before but the way we search has changed, the way search engines work has changed, and that one single meta label titled “art” is about the most popular meta tag there is. Everybody uses it so no one see’s it. If you have only ever produced a small number of artworks somewhere in the region of only a handful, there’s never really an excuse that you don’t have anything to share. If you have a website feature the old piece in a blog post or explain the process and the thinking behind it, anything like this gives you something else to share on social media that doesn’t have to be an out and out marketing pitch. I have mentioned having a website many times and as an artist it’s really important. Art is often a considered purchase because it isn’t a widget that you buy every day no matter how much you charge or where your market is. You need a base where people can go and check you and your work out because not everyone is on social media. If you don’t already have a website then using a service such as Adobe Portfolio is a no-brainer if you already subscribe to any of the plans for Photoshop. You can find the link to Portfolio right here. 1. There are no contact details on your site or your details might have changed. You have no idea how many times I have seen this, but if buyers can’t get in touch with you or know how to purchase your work, well that’s a problem that needs to be fixed. 2. You sell a work and it still shows as available. This is another thing that is very common. In the excitement of selling a work it’s easy to forget to update your website to tell people that it’s sold. If people see lots of sold work then they’re more likely to act sooner next time because they believe that it is popular and people love to buy popular things. There’s a heap of psychology behind this and many research papers but to avoid having to read through them all, just make those updates. 3. Nothing let’s people know that you don’t really care about old web links than having page after page of dead links on your site. It also tells the search engines that crawl your site that it contains outdated and non-working links and search engines will see this as a signal to stop surfacing your content in the search results. 4. Your work from around the time of building your website looks like it is the only work you have ever produced if you don’t update it with new pieces of work when you have released them. Make sure that your new work goes up on the site as soon as possible. 5. Update your bio. A bio is not for life and neither should it be your life story. A bio is a living thing that you will need to update periodically. If you have recently gained recognition for a work or you have some really big news to share about what you are currently doing or have done, then the artist’s bio should be swapped around. A bio last seen by visitors from your site in 2010 will look like you haven’t been doing anything since. 6. Remember that camera on your phone back in the early noughties that you took all of your pictures with for your website? Well, cameras even on smartphones have moved on. Viewers expect to see clean, crisp images on your site so make sure that the images you use are as good as they can be. Make sure you also add in Alt Text too, and you can even do this with your photos on Facebook, it all helps with the search engines being able to find you and your art. Don’t know about you but I get tired when I see constant adverts competing for my money. Some social media posts are the same, every post is seen as an opportunity to sell something. 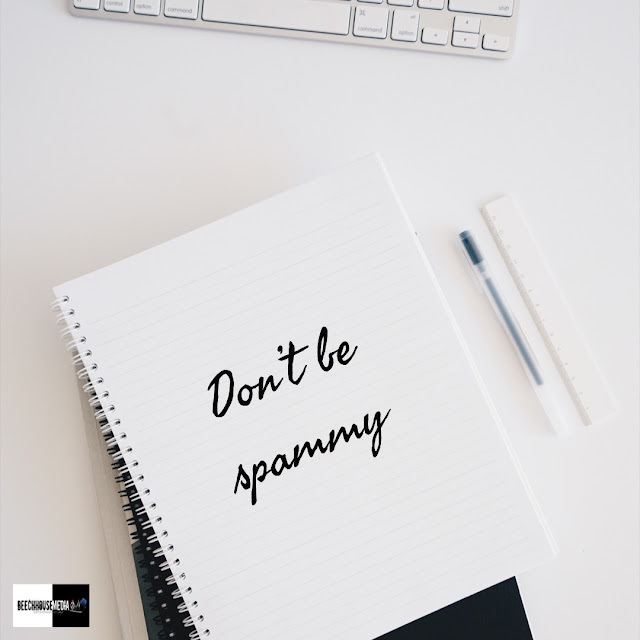 That’s not necessarily a bad thing but if you appear to be spammy you are more likely to be tuned out and ignored but equally if you don’t let people know you are there the same is true. This is where we need to understand the difference between marketing our work and marketing valuable content and making sure we have a mix of both. There are no hard and fast rules and forget the 80% content marketing and 20% product marketing because those figures will be different for everyone depending on their audience. It’s all down to experimenting with social media until you find a happy balance, but other than your art what else can you post? 1. Videos. People consume a lot of video on social media but I think that video hasn’t got the same focus as it had say a year ago. It’s a great way of connecting directly with your audience and showing people how you go about creating artworks, but it adds significant interest to Facebook business pages. So gather some of those older works and pop them into a video. 2. Remember that post I created the other week, well yes it was a fluke but it proves that something original posted at just the right time can work without you spending a dime. With just short of 200k views, it is rather embarrassingly my best performing post ever and it wasn’t trying to sell anything. It was an observation but one that also managed to increase my page likes by more than a hundred new followers. One post, organic reach that really demonstrates the power of content marketing. 3. I have said this before and I will say it again, start writing a blog post occasionally. People really do love to know what’s going on in their favourite artists lives and blogging whilst it seems so early millennial (ish) is still one of the most powerful ways of connecting with an audience. You can post on your website, or post content on your web store particularly if you are a premium member of Fine Art America. Blogging is a great way to introduce your older works too. There’s a blog feature on your Pixels store that could be used to bring in more eyes to your art. You will have something new to share on social media and it might just attract more viewers to your work but it is also a great way to incorporate search engine optimization into your Pixels store and to keep your people engaged. 4. Add value. If you are constantly using your Facebook page to market your work there is no value for the people who don’t already buy your work or who plan to in the future. Content marketing helps with this and even uploading the odd photograph that other artists can use as a reference photo can bring in new followers and page likes. This is something I have been doing for more than a year, and a few of the images have been turned into gorgeous works of art by fellow artists. 5. Use content marketing as a way of building up engagement with your business because as I have been saying for a few years now, engagement really is the only metric that matters. 6. Create a series of posts showing some of your older works and include their stories. Maybe have a throwback Thursday and ask other artists to leave links to their older works in the comments. It’s also a great way to see just how far you have all come too. Regular readers and followers will know that I am going to soon be offering free art downloads. No I haven’t gone mad, and yes I have thought this one through. This is my way of saying thank you for following me and supporting me on social media and for those who have already made a purchase, but it is also because it’s a value that doesn’t have to cost me that much financially, if anything. With the loves, likes and wows, and the people who have purchased my art I really wouldn’t have a business at all but aside from the thank you, adding value like this also helps me control what art is downloaded without paying for it, and because I have a heap of art that I have worked on over the years that doesn’t always have a fit with the art I sell through my stores and because I am working on some really experimental work and would love to see if I am on the right track and whether or not people want to see more of it. 2. Offer a free instant download – colouring pages, an e-book which might just be something simple like a PDF document, reference photos, a small number of free stock photos, a free template, a free digital brush, the possibilities are endless and they all offer a value to someone. 3. Everyone with an email address will already receive a ton of marketing emails every day so you have to do something different to stand out. 4. Share tips and tricks and techniques. Some of my best learning was never done in art school, it was from learning new skills from fellow artists. 5. Discount codes only work when people are definitely going to buy something. 10% off your next purchase sounds great but the reality is that many people forget they have an offer code that they can use. Instead offer discounts to people who regularly buy your work if you want to offer them at all and remember that offering new clients a discount and ignoring old clients comes with its own set of problems. 6. You can feature an older work that hasn’t sold in a giveaway but I’m not a fan of giving art away like this. But some of your older works might work as a digital download and someone might just want to own the original. Creating art is something that we all love to do but there is no denying that if we want to be in a position where we sell any of it, we have to do that other thing that we don’t like doing which is marketing. We have to do that consistently and that means not forgetting the older work we have. No matter what people say there is no such thing as build it and they will come unless your name is Banksy but even then, Banksy is the master of effortless marketing. It takes a real genius to come up with the idea of adding a shredder into an artwork and whether this really was only to make a point about the absurdity of art prices in auctions or not, there is no denying that it was pure marketing genius. Money could never have paid for that kind of advertising and everyone needs to have at least one Banksy moment in their artistic career. I’m not suggesting that adding a shredder into your work is a good idea because it has been done already, but having a moment that gets you noticed is the key to marketing. Or, having lots of little moments, but the point is that marketing has to stand out head and shoulders above all of the other noise. 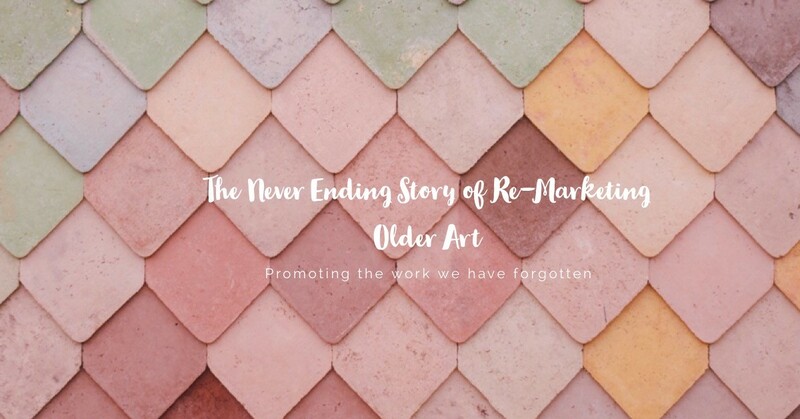 We often put ourselves under pressure to come up with new works but if you have older works that either haven’t sold or haven’t been selling as much as they once did, they shouldn’t be forgotten. One of my best selling works ever is a piece I produced in very little time compared to other works I do, and I completed it years ago. Then one day a large format print sold. The only thing I did was to revisit the metadata labels and re-shared it on social media. Since then it has gone on to have a life of its own. If you missed my last article on optimising your SEO (Search Engine Optimisation) you can find it right here. This article will give you some ideas around getting older works discovered once again. It’s also a good idea to occasionally step back and take a look at your online stores and websites as a customer would see them. Do they still look as epic as they did back in 1996 or whenever you created them? If not then it’s time to give them a coat of paint too! I am an artist and blogger and live in Staffordshire, England. You can purchase my art through my Fine Art America store or my Pixels site here. Any art sold through Fine Art America and Pixels contributes towards to the ongoing costs of running and developing this website. You can also view my portfolio website right here. You can also follow me on Facebook right here, where you will also find regular free reference photos of interesting subjects and places I visit. You can also follow me on Twitter @beechhouseart and on Pinterest right here.